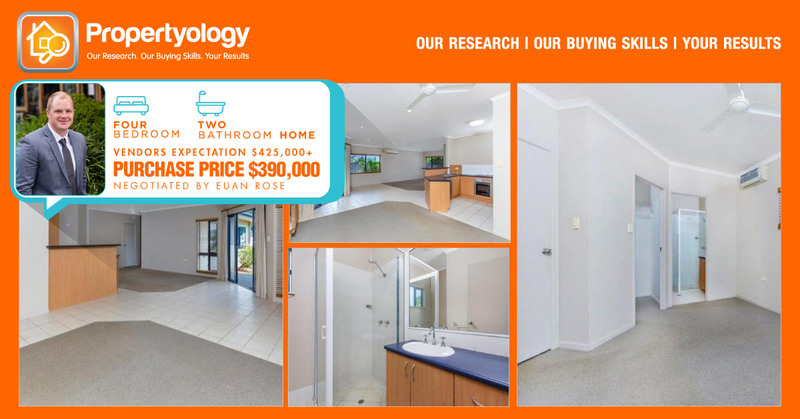 As with quite a few of our clients, Simon and Deb contacted us because they were “looking to purchase an investment property in Brisbane… specifically in the Logan area”. Simon and Deb had done a lot of reading and combined with the general media consensus (especially throughout 2015 and early 2016) had decided that the Brisbane market was to be the next ‘hotspot’. But what is a ‘hotspot’? And most importantly – how are they created? Most ‘expert’ claims of the next big hotspot generally end up being completely underwhelming at best. Genuine ‘booms’ only come around once in a while – most recently Sydney 2013 and 2014. But before you get carried away with how ‘amazing’ Sydney is, be sure to keep in mind that over the 15 years from 2000 to 2014, of the eight Australian capital cities, Sydney performed the worst. That’s not a typo – you could have invested in any other capital city in Australia back in 2000 and your money would have worked harder for you, than if you had invested in Sydney. This was predominantly thanks to a long period of very little growth from 2002 to 2009. Given the fundamentals of the Brisbane economy haven’t significantly changed, the Queensland political scene is more uncertain now than it was a couple of years ago and overall business and consumer confidence certainly isn’t significantly higher than it was a couple of years ago – what has driven Brisbane to be the next ‘hotspot’??? Some journalists, who follow these high profile data companies, pounce on the opportunity to use this information to fill their weekly quota of ‘news stories’ (think about the number of articles you have read “Investors turning to Brisbane given unaffordable nature of Sydney and Melbourne”). These articles are read by millions of people. A handful of people who own or operate property investment businesses start seeing this location pop up in their news feed. They frantically come up with some generic stats like population growth rates and make mention of some features and benefits like ‘public transport’ and ‘urban renewal’ and there you have it, they’ve created a ‘hotspot’ report of their own on the subject location. For companies with a vested interest in ‘promoting’ property in a particular location, glossy reports and brochures are bread and butter for the marketing department! Before long, we have a consensus – it’s a hotspot! Even though no-one has done any real ‘research’. Brisbane is a prime example of this. As mentioned earlier, the underlying fundamentals of the Brisbane economy haven’t changed over the last couple of years. The only thing ‘booming’ in Brisbane is the construction industry. Supply is rapidly on the increase. We have been warning clients of this for quite a few years, more recently others have begun to sing to a similar tune. At Propertyology we follow Building and Development statistics closely. Whilst understanding demand is important, we believe the other side of the equation, the supply side, is equally as important. Recent increased buyer activity, predominantly driven by an increase in interstate investors has seen moderate (certainly not spectacular) price growth in Brisbane, however rental yields are decreasing as vacancy rates and vacancy periods increase. Without appointing PROPERTYOLOGY, Simon and Deb would have been part of this ‘movement’. Whilst purchasing a property in Brisbane wouldn’t have been the worst long term decision they could have made, we are confident that looking back in a few years, evidence will show that by keeping an open mind, Simon and Deb will consider their decision to not purchase in Brisbane, a very astute one. For those readers who aren’t aware, PROPERTYOLOGY is based in Brisbane. All of our staff live and work in Brisbane. However, less than 10% of the properties we have purchased for our clients over the last two years were in Brisbane and we expect this trend to continue for the foreseeable future. We have no vested interest in any location around Australia. We are simply researching property markets to ensure our clients best interests are always Number 1! With this settlement having only just occurred, Simon and Deb are already working closely with our experienced in house mortgage brokers to secure finance for their next purchase! Congratulations again Simon and Deb! Our Organised, Systemised & Professional Team Delivers!